Short, HTML-designed emails might look nice…but do they get a response? Many companies are afraid to write longer emails…thinking they won’t get a response. It may seem counterintuitive, but long, copy-heavy emails will usually get better results than short, beautifully designed emails. “Christmas Blowout. Coupon code GIFT 5% off any purchase. Offer expires December 31st. Not valid with any other offer. ONLY 1 COUPON PER ORDER.” [Click-through URL] Click here to send this to a friend: [link] [Subscription and removal info]. As you can probably guess, the message was heavy on the HTML/graphics and, as you can see, very low on content. Test: Both the tone and the content of the email message was changed to include more text rather than graphics. Here is how the new email promotion reads: “This e-bulletin is strictly for customers that have shopped with us or who have requested to be notified of special clearances. Hello: We are liquidating post-Christmas inventory, and to make sure our pricing is attractive, we have surveyed the top four resellers on the Net. As of Thursday, March 4, 2 p.m. EST, these are the lowest prices on the Internet. [list of sources]. [Product list and tracking URLS – products 1-5 in the results below]. Special note: Spend over $250 and receive FREE Ground shipping. Simply enter coupon code FREEGROUND on the checkout page. Your time is valuable; thank you for shopping with us! [Signature] [customer service info] [privacy and unsubscribe info]. Results: After changing the message so that it had a more personal tone, was more descriptive and offered more incentive, the email offer generated an additional 105 orders, which amounted to $21,000 in increased sales over a 4-day period. 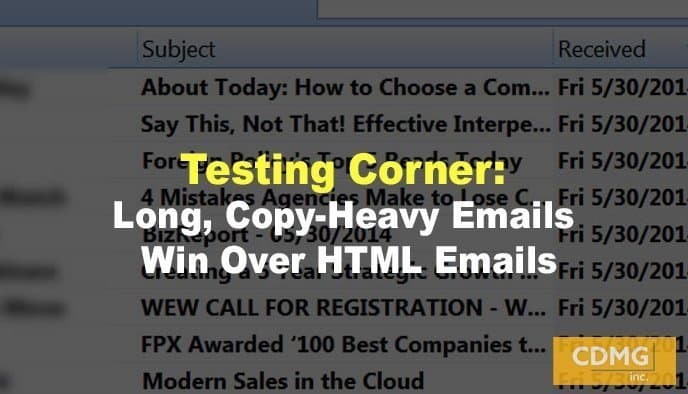 Testing your emails to learn what works and what doesn’t is crucial to your response. From offers, to graphic design, to copy and content, the smallest change can make the biggest difference in your sales. If you would like a free 15-minute critique of your website, please contact me at (310)212-5727 or email Caleb at caleb@cdmginc.com.